Over the course of the year, the to-do lists around homes and commercial properties can grow quite long. There is no shortage of maintenance issues to handle, but few of these are as important as keeping the interior and exterior of your gutters clean. Regular servicing of your perimeter drains is easier said than done – unless you call in the professionals, that is. 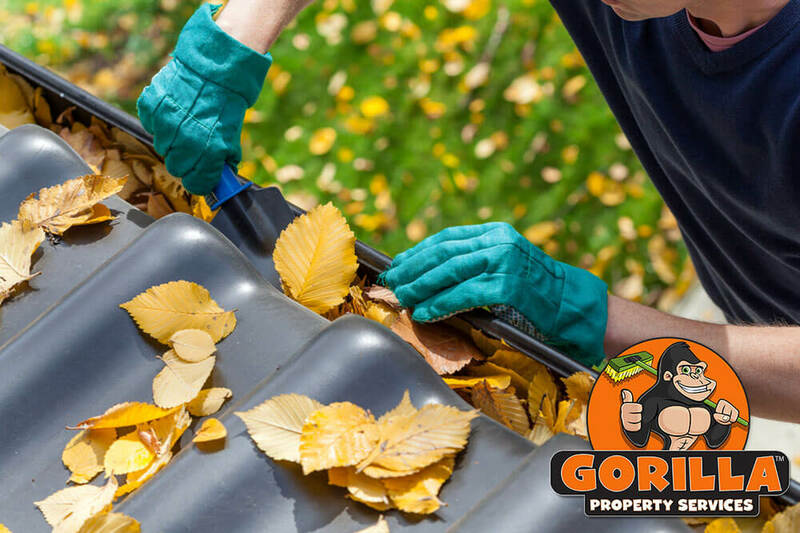 Instead of struggling to keep your drainage system running smoothly, have a Gorilla handle your Milton gutter cleaning services for you. Any sort of routine is hard to break into, but skipping proper care of your eavestrough can lead to trouble! With each new day that passes, your upper perimeter drains are collecting foreign and organic debris. The word “debris” might give off grand ideas, but more often than not, these items are nothing more than leaves and needles. Small items like these, combined with twigs and seed pods sit together to create clogs, preventing water from passing through pipes. In order to keep drains passable, our Gorillas suggest twice annual treatments of Milton eavestrough cleaning. Blocked drains and sitting water invite unnecessary damage to homes, multi-unit properties and commercial spaces. Professional services help to preserve the condition of your property for longer periods. Routine maintenance preserves your property for longer periods. Regular gutter cleaning saves you the hassle of water damage, leaks and the bills that come along with them. If you notice slow draining water, don’t hesitate to call in a Gorilla for your Milton gutter cleaning. There is no way to put an end to clutter. It might be a hard pill to swallow, but it is important to know how to navigate this issue. Instead of finding dry and crunchy leaves lining open areas. your eavestrough contains mould, rot and who knows what else?! Grabbing a glove and diving in to amateur clearing practices is not enough to get results. Foundation layers are made up of the most dense and wet materials, and they cannot be properly removed without the right tools. When you are in need of Milton eavestrough cleaning services, there are more things to consider than basic removal. The fixtures of your property are more delicate than you might think. Leaning too much weight against the side of your gutters can bend, bow or break pipes. 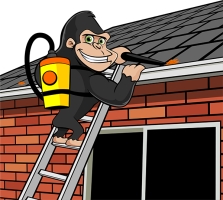 When you trust your gutter washing services to our Gorillas, you not only get great results, but safe results as well. Gorillas keep your property safe by using top of the line safety equipment and are always fully insured. High-power vacuums clear debris from both covered and uncovered pipes, as well as downspouts. With our eyes on the prize, Gorillas combine tools and skills to clear away every last piece of debris clogging your gutters. If you are wondering just what our specialists can do for you, the proof is in the picture! ‘Before and After’ photos keep clients in the loop while our Gorillas hit the heights of your property.